As advocates of Senate Bill 350 were celebrating the signing of the state’s new renewable energy law by Jerry Brown last week, a major appointment to a regulatory post in the governor’s administration went largely unnoticed. In a classic example of how Big Oil has captured the regulatory apparatus in California, Brown announced the appointment of Bill Bartling of Bakersfield, a Republican who has worked as an oil industry executive and consultant, as district deputy in the Division of Oil, Gas and Geothermal Resources, which regulates the state’s oil industry. Bartling has been president at Aspectus Energy Consulting since 2015, where he was president from 2005 to 2008. He was general manager at OptaSense Borehole Imaging Services from 2014 to 2015, president and chief executive officer at SR2020 Inc. from 2008 to 2014 and founder and chief technology officer at Ambrose Oil and Gas from 2007 to 2010. Bartling earned a Master of Science degree in geology from San Diego State University. This position does not require Senate confirmation and the compensation is $180,000. Bartling is a Republican. 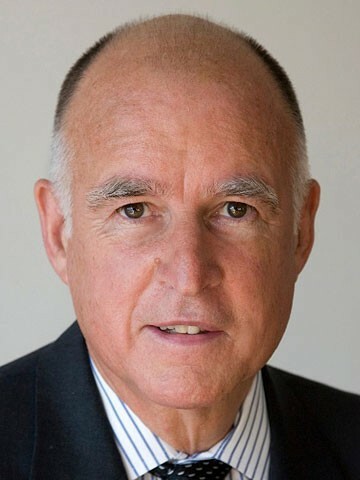 As was the case on October 7, when the governor signed Senate Bill 350 at Griffith Park in Los Angeles, Brown often attempts to depict himself as a "climate leader" and "green governor" at environmental conferences and photo opportunities across the globe. However, court documents obtained by the Associated Press this summer in a RICO lawsuit filed by Central Valley farmers against the Brown administration document the claims by anti-fracking activists that the governor is collaborating with Big Oil on the expansion of extreme oil extraction techniques in California. In these documents, two former senior level officials, Derek Chernow and Elena Miller, in the Department of Conservation in Governor Brown’s administration revealed that they were fired on November 3, 2011 after repeatedly warning the governor that the injection of wastewater into the earth from oil drilling would imperil the state’s groundwater. Conflicts of interest abound in California politics; the appointment of an oil industry executive on October 9 and the dismissal of two key regulators by Jerry Brown in November 2011 because they failed to serve the oil industry's wishes are just just a few examples of how Big Oil, agribusiness and other corporate interests have captured the regulatory apparatus in California.